The scientists can actually engage with the visitors to tell them about their own research and tell them why they think it's exciting. The goals are really to instill an appreciation for science and to make science fun and interesting — to present it in new and refreshing ways that people can understand easily. And to impart a little bit of basic knowledge about the geography of the polar regions and what is happening currently in the Arctic and Antarctic in terms of climate change. 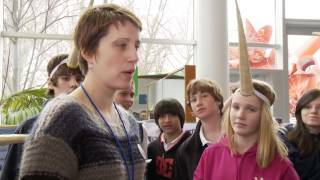 Polar research and technology is presented to thousands of visitors by APL-UW staff during the annual Polar Science Weekend each March at Seattle's Pacific Science Center. The goal is to inspire an appreciation and interest in science through one-on-one, face-to-face interactions between visitors and scientists. Guided by their 'polar passports', over 10,000 visitors have learned about the Greenland ice sheet, the diving behavior of narwhals, the difference between sea ice and freshwater ice, how Seagliders work, and much much more as they visit dozens of live demonstrations and activities. 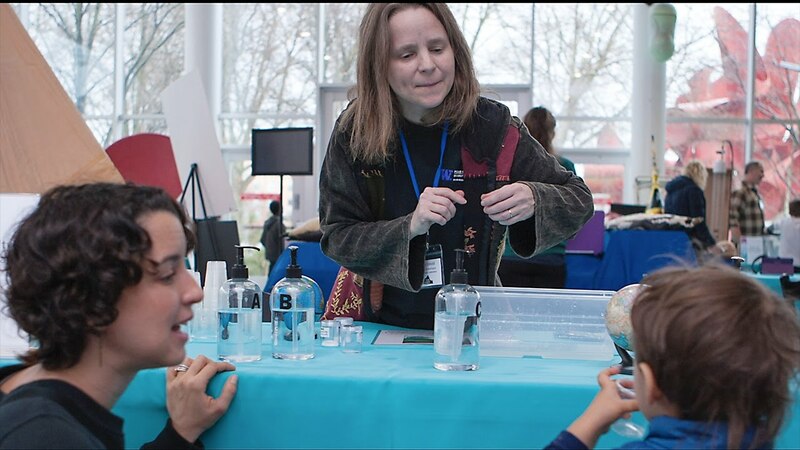 Polar Science Weekend has grown from an annual outreach event to an educational research project funded by NASA, and has become a model for similar activities hosted by the Pacific Science Center. Professional staff from Pacific Science Center conduct 'Science Communication Workshops' prior to PSW to help participants communicate science more effectively to kids and the general public.